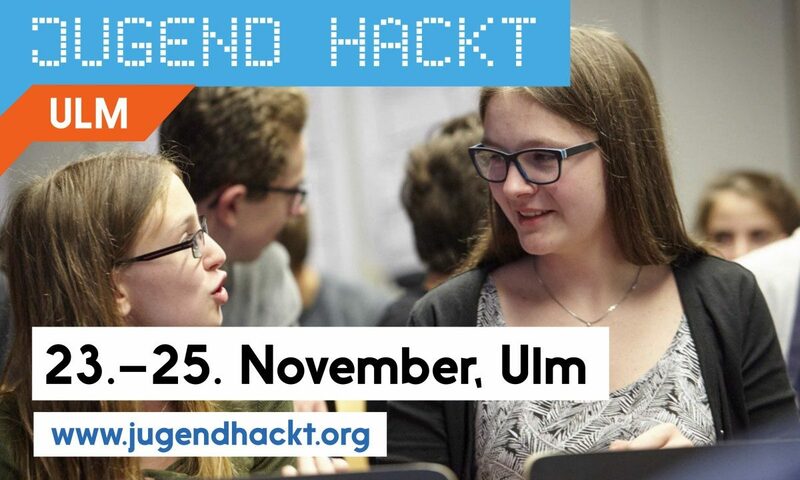 Jugend hackt will take place for the fourth time in Ulm and the second time in Verschwörhaus from November 23rd to 25th of 2018. Registration is open until October 15th, and we are pretty much booked already. We have, however, reserved Diversity Slots. The Diversity Slots are reserved for people underrepresented at technical events like Jugend hackt, e.g., for Girls*, for refugee teenagers, people with an immigration background, for BPoC, for handicapped people, etcetera. If this applies to you and you are interested in Jugend hackt (or if you know someone who might be just the perfect match for the programme), register now and reference the Diversity Slots in the form section „gerechte Gesellschaft“! N.b. : The event language will be mostly German. Read Jugend hackt’s Code of Conduct to find out why this is important for us. You are not sure whether Jugend hackt is right for you? Hear from Rebecca and Fiona – see also the Video below. If you aren’t part of either of the groups mentioned above, you can still register for Jugend hackt in Ulm. Registration will be open until October 15th, registrants will be notified whether they can take part within a week after that.